The presented room availability, rates and discounts are actual and final for all our 207 hotels in Fortaleza. 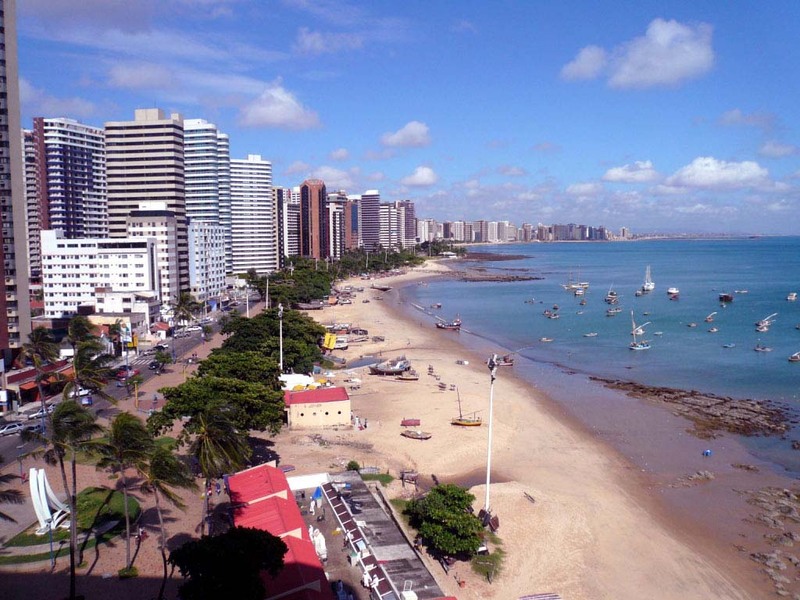 One of the main features of Fortaleza is the cosmopolitan population; many consider it to be the logical explanation for all abovementioned features of the culture and behavior. Locals don’t tolerate racism; they are very responsive and always happy to help strangers. Citizens like to have fun and know how to do that. During the year the city hosts many interesting events and holidays. It’s worth noting that much of the entertainment events start just after sunset. That’s because of the hot sun that doesn’t allow having a full day of fun and relax. For many locals the principal mean of livelihood is fishing; every morning, hundreds of boats leave the coast to deliver the freshest seafood in city. The local jangada boat became a kind of national symbol of Fortaleza and one of its main features. The fact is that these boats are very difficult to sail. Early in the morning, lots of tourists are going to the beach to watch local fishermen deftly managing with unusual boats. Walks to the local fish market have become the tourist tradition. There are many rare varieties of fish in coastal waters of Fortaleza, so the trip to the local market will be a very informative event. Travelers can taste local delicacies in one of the many seafood restaurants that can be found at any site of the resort.